Looking into the future…when you die! Few people know when they will die. It’s never me and it’s never today. But what if death was your fate today, or tomorrow or next month? Are you prepared? Have you planned for the reality your survivors will have to deal with after you’re gone? Will your spouse be protected? Did you think about how to ensure your money will be safeguarded through a trust for your children? Will the government steal your hard earned money in death taxes? If you’re feeling anxious about what I just said then good. Read this site and let’s get you prepared. Many families whose lives are affected by disability, mental or physical incapacity and/or illness also worry about the future. Who will care for my loved one when I am gone? Will he or she have the financial support, resources and services that they need? Who will look out for them? Who will help them make important medical, financial and life care decisions? Here at Hanlon, Niemann & Wright, Fredrick P Niemann and his estate planning staff can simplify the decision making process for you. Estate Planning is important in significant ways: It can save your estate from excessive taxation, avoid health care impoverishment by accessing public and private benefit programs, and protect those persons in your life after you’re gone. As estate planning lawyers, Hanlon Niemann & Wright has the expertise to maximize tax savings, protect your assets and qualify for private and public benefits if your health deteriorates. Our firm consists of many mothers and fathers with children, grandchildren and even great grandchildren. From life experience in raising our families and counselling thousands of client families with diverse backgrounds, degrees of wealth, and unique personal issues we can provide wise counsel, practical solutions and sound advice. Chances are Fredrick P Niemann Esq., will be able to help you make real life decisions that will further and promote your estate plan. If you own a home, have liquid assets such as a savings or investment account, retirement account, business interests and family members you love, then you should rely on the experience of our Estate Planning counsel to help plan and protect your estate for your future. An effective estate plan will ensure the financial security of those you love. If you don’t plan for what happens to your estate upon your death, the government will decide how your estate is distributed for you! Do you want that to happen? Fredrick P Niemann & The NJ Estate Planning Attorneys at Hanlon Niemann & Wright Make a Difference! Our practice understands that sound estate planning and asset protection strategies do no good if it doesn’t protect your assets against unexpected death or catastrophic illness. By combining estate planning with asset protection plans and trusts, we are able to protect your interest and those of your spouse and loved one to empower your goals and objectives to receive care when necessary, while maintaining an inheritance to pass on to your family. Do you wish to protect your spouse? Do you care about who inherits your property? Do you care about your health care treatment? Are you the parent of a minor and/or adult disabled child? Do you have adult children who have “issues”? Do you want to avoid the public proceedings of a guardianship and/or probate action? Do you wish to avoid or minimize estate and income taxes? Do you wish to avoid or minimize inheritance taxes? “My son is an attorney in New Jersey. I am retired and live in Ocean County, New Jersey about 45 minutes away from my son. I needed a lawyer to look at my estate planning documents including Will, Power of Attorney and Health Care Directive. My son recommended Hanlon Niemann in Freehold, New Jersey, specifically Fredrick P. Niemann. I took his advice and met with Mr. Niemann. I am glad that I did. He is a warm and engaging person. No pretense, no airs about him. I immediately felt at ease and we talked about everything that I wanted to do and accomplish with my estate planning. I felt I could open up to him and tell him what was really important to me. He prepared the documents as we discussed and sent them to me in advance to review and approve. Then he scheduled me for a signature session where my appointment was promptly kept and a friendly, positive staff witnessed all of my documents. My son, the attorney, gave me good advice when he recommended Mr. Niemann. Do you like what you’ve read? 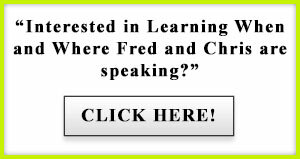 Have you watched Fred’s videos? 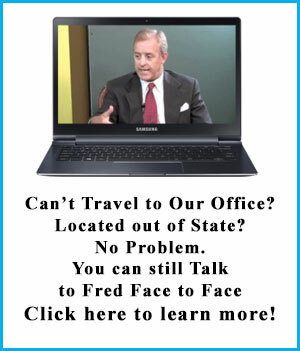 If so, call Fredrick P. Niemann, Esq. personally today toll-free at (855) 376-5291 or e-mail him at fniemann@hnlawfirm.com today. He welcomes your calls and you will find him easy to talk to and receptive to your questions and concerns. He has counselled many, many thousands of individuals and families in their NJ estate and asset protection planning. Mr. Niemann was quoted in an article in the Asbury Park Press which discusses Last Wills and Testaments. A copy of the article can be found here. Dying Without a Will or a Trust in New Jersey: It’s Not Good! Can You Condition Your Heirs’ Inheritance Upon A Religious Observance?